description: "Registered successfully, you will be redirected to login page shortly"
PS - my application is not 'pretty routed' yet. So the url loads like --- localhost:1234/#!, localhost:1234/#!/register ......... and so on. So why isn't the webapi breakpoint reached? I used the console.log to make sure it is picking up values from the input fields. I tried some other variations of the webapi routes in the apiconfig file. I haven't posted them all in this question. But they haven't yielded my purpose either. So where am I going wrong? What are the problems in my code that you can see? Kindly point me towards something at least. Any kind of help on this would be very great for me. According to your description, we couldn't directly find the reason why your web api controller doesn't work. 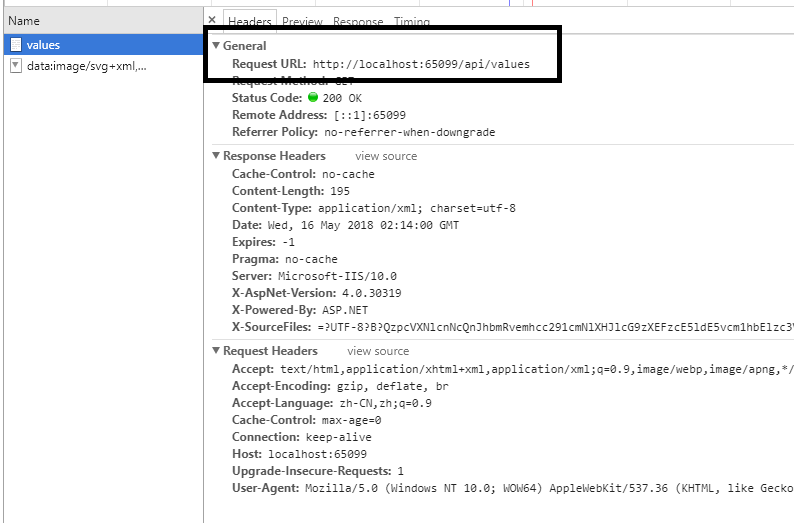 1.Your angualr js codes doesn't send the request. 2.The web api method url is wrong. I suggest you could firstly use the browser develop tool to check the status of request which is sent from the angualr to your web api. Then we could locate the issue with the request status. Apparently the status is 200, means OK for the request. Which one do I check next? According to your image, I couldn't find the details url information for the request. I suggest you could firstly check the request url is right which sent by clicking the sign up button. Besides, I found the url you want to access is strange. Why you add "#!" in the url? Did you add some special setting in the web api route config? No, it appears that the request is not at all going to the api!! That is so strange!! Furthermore it's now giving a whole new error on registerController that it wasn't giving before. [kindly take a look at the registerController.cs code I posted earlier]. I didn't add or change any code there in the meanwhile! This is behaving so weirdly now! your image explains all. your post is to http://localhost:1234 and its returning html. if you have the default setup, this is returning your default document. you should pass the correct url to your ajax call and it will probably work.